Last week, I enjoyed a cup of coffee and the, unfortunately temporary, nice and cool weather at Cenote with local street artist Liza Fishbone. Liza, originally from St, Louis, has recently found her home here in the colorful city of Austin— locals, don’t kick this one out, she’s really cool, I promise. Read on to discover what fuels Liza’s inspiration, artistic talent, and capability of morphing dreams into art. Where do you find inspiration? How do you integrate inspiration into your art? “A lot of my art has to do with motion, nature, and dreams. Not necessarily my dreams, just the ideas of dreams—kind of like creating alternate realities that exist in my head. I'm really inspired by the dream state.I also look at a lot of nature and shapes and how you can transform and interpret them. I'm working on how to convey motions and time warps in my chalk art. I'm really inspired by the dream state. What are some of your favorite local street art or artists that inspire you? There are three cities I've been to in my life where I feel that I belong there: Austin, Tokyo, and Berlin. “I have two—one from high school and one from college. My high school studio art teacher gave me this advice: ‘say no to no’. He got me to understand that when you're making art, you have to make it for yourself—not to please anyone else, like your teacher. Students would say stuff like ‘I think our teacher will like this, so I'm gonna draw it this way.’ And my teacher told me to make art for myself. Best advice I've received: 'Say no to no'. 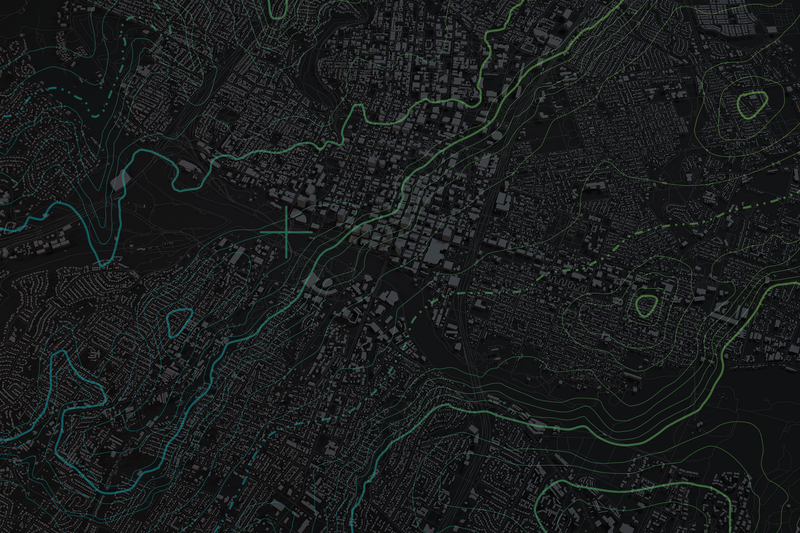 What sets Austin apart from anywhere else? 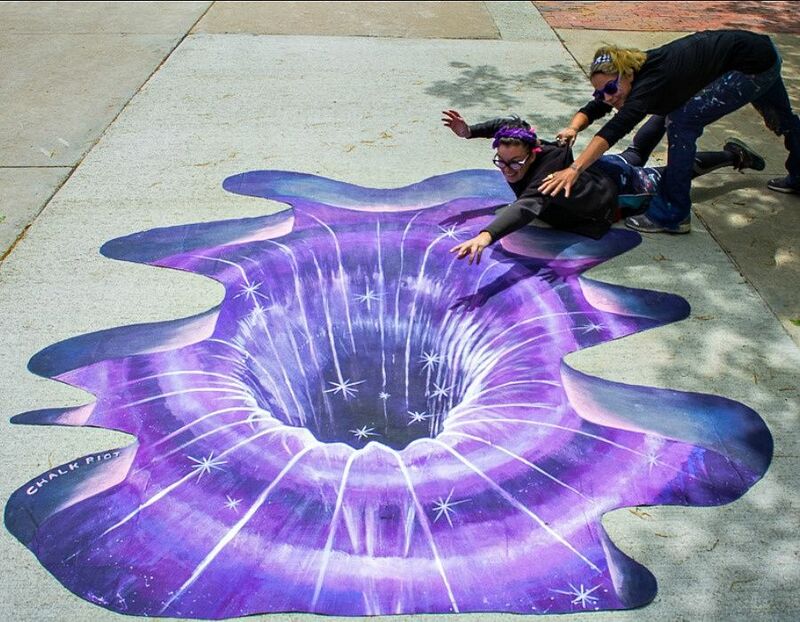 “I can tell you about the future of Chalk Riot, which is our company of 5 artists. 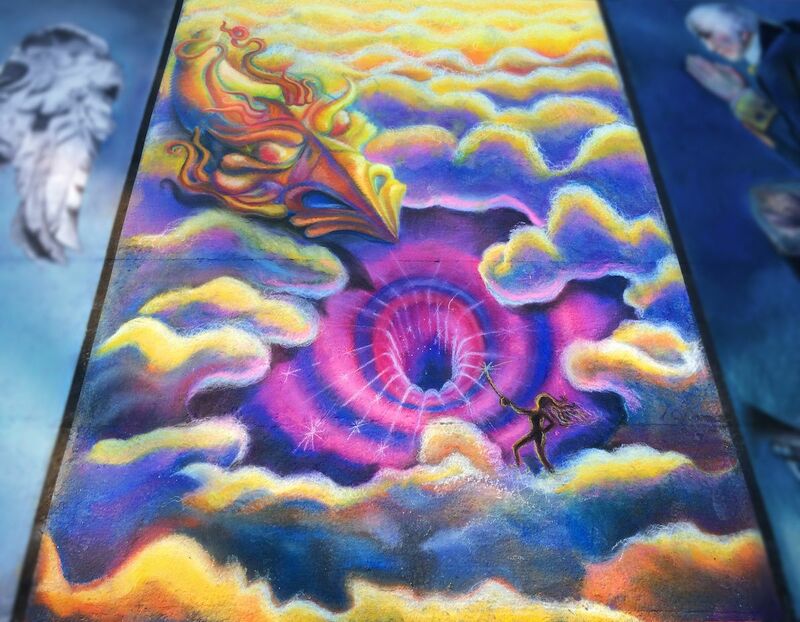 We are a gritty professional chalk street art company, and we get hired by corporate clients to do marketing and activations at events—like making art for photo operations and call-to-actions. We do chalk murals, like at Washington University in St. Louis and couple different other colleges. 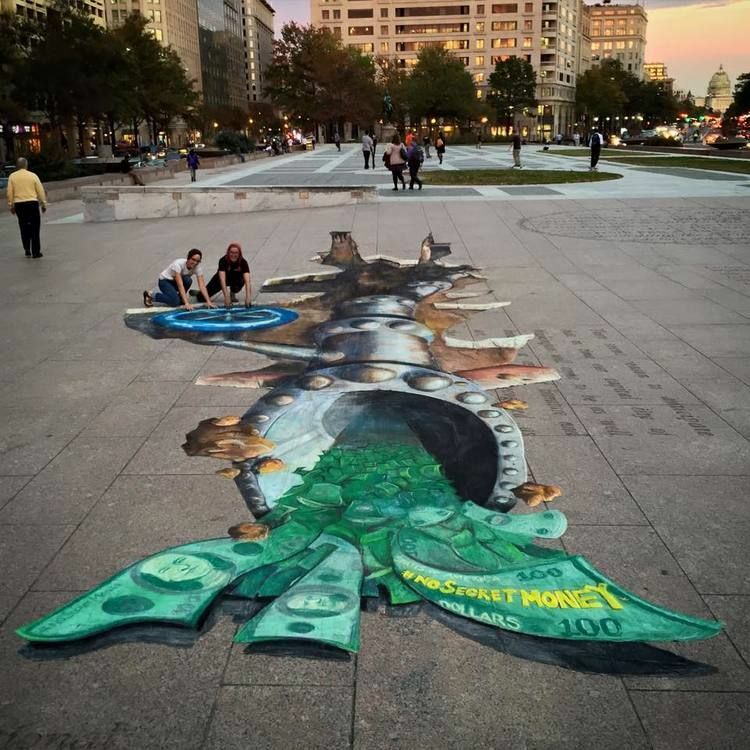 In DC, we were hired by Greenpeace to do an anamorphic piece. It basically looked like a pipe coming out of the ground. 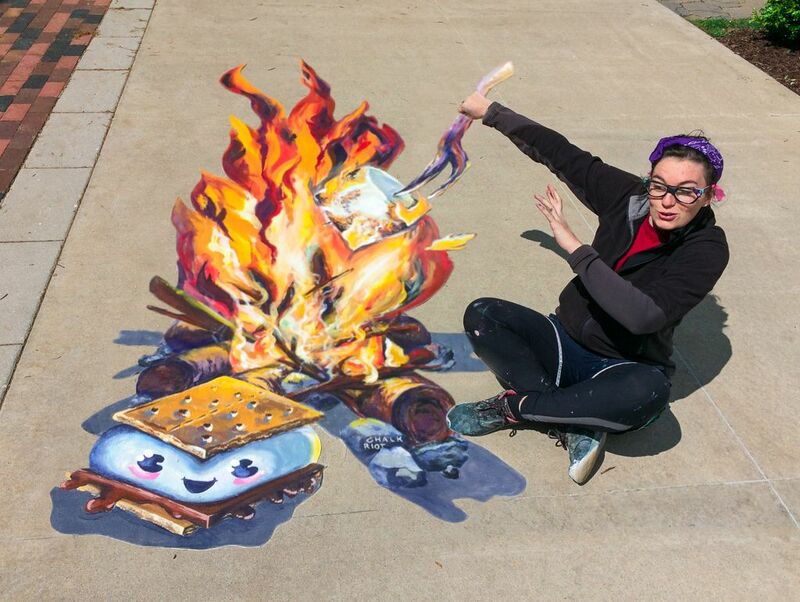 What can attendees expect during your workshop with Chalk Riot? After meeting with Liza, I discovered something crazy!! Art is literally EVERYWHERE in Austin. For real, guys. You may be thinking duh, but next time on your way to work or the grocery store, just look around and pay attention to your surroundings (don’t crash), and I guarantee you will be surprised by the infinite snippets of art. Thank you, Liza for opening me up to this. 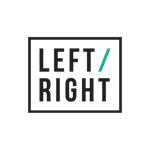 You can catch her and her team, Chalk Riot on Nov. 9th in a workshop during Austin Design Week! Be there or be ⬛ .